Boone County 4-H families had pork sandwiches and hot dogs at the annual 4-H Achievement Party held Sunday, Oct. 16, at the Boone County Fairgrounds in Albion. 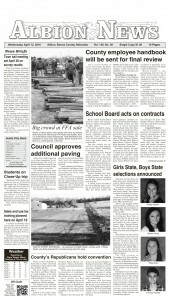 Karen Benes (above left) received the 2011 Boone County Heart of 4-H Award as a leader. 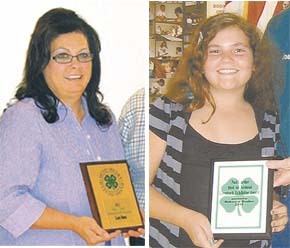 Rebecca Dozler (above right) received the Neil Carder Memorial Award for her 4-H activities. See the complete list of awards in the Oct. 26 Albion News Print & Electronic Editions.